If you're new to home automation, a smart plug can be a good first step — a toe in the water, if you will — in building out your connected home. If you've gone all-in on HomeKit-enabled accessories, this list can help you track down the perfect HomeKit-enabled plug for your smart home. The iDevices Switch is hands-down my favorite Wi-Fi connected, HomeKit-enabled plug. The unique design, which shifts the plug to the side of the device, keeps the smart plug from unappealingly jutting out of the wall and the multicolor LED light strip serves as an excellent night light. The iDevices Switch also features a physical button for controlling whatever you choose to plug in. The Elgato Eve Energy is a Bluetooth-connected smart plug. With in-depth energy monitoring stats, the Elgato Eve Energy can help you keep a lid on your utility bills. 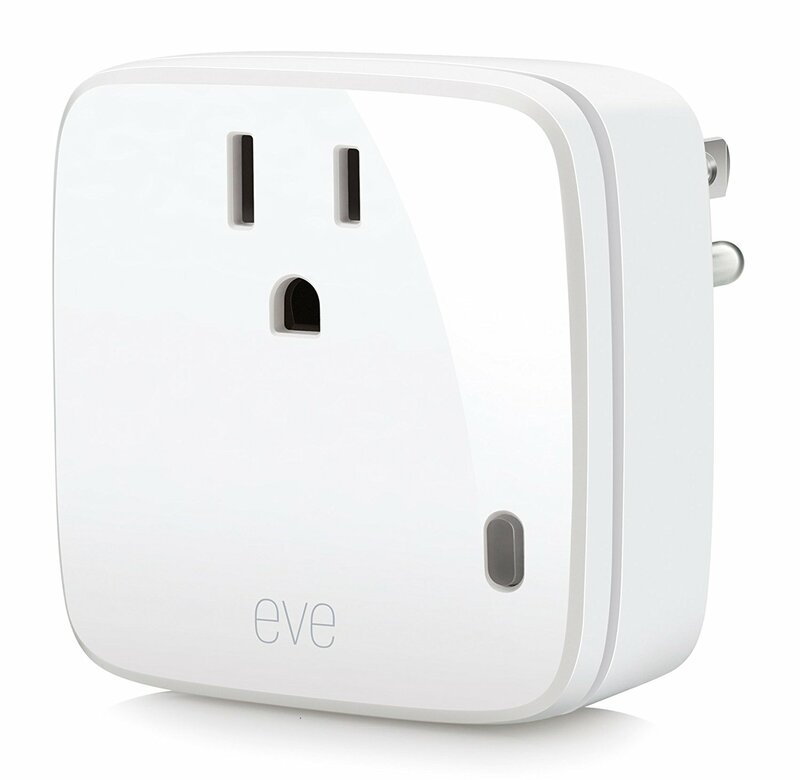 Thanks to the device's Bluetooth LE connection, you won't need to struggle with a Wi-Fi setup process or crowd your network with another device — the Eve Energy communicates directly with your phone or through an Apple TV or iPad via Apple HomeKit. The iDevices Outdoor Switch is a dual-outlet switch that's meant to be used outdoors. It features a rugged, rain-tight design, so you can be sure it'll work in the winter just as well as in the summer, spring, and fall. Perfect for outdoor lighting during the holidays, you can turn off ol' Frosty the Snowman at the end of the night without ever having to set foot outside. The iDevices Wall Outlet is an in-wall smart home product that can replace any standard outlet in your home. Instead of having to augment your current setup with external plugs and switches, you get two independently controlled outlets that actually look like they belong. It's worth noting, too, that each outlet features a physical button for turning on and off whatever you've decided to plug in. If you live in a home where some folks use HomeKit and some prefer Google Assistant or Alexa, then this is the smart plug you want, as it's fully compatible with all three. Just connect to each assistant and away you go! Not only does iHome ISP8 work with HomeKit, Google Assistant, and Alexa, but it also comes with a pre-paired remote control, so yeah, you can get Siri to do everything for you, but if you don't want to wait the extra few seconds, just pick up the remote and press a button. The Koogeek Smart Plug P1 is a simple, Wi-Fi connected smart plug. The device features one standard plug, a physical on/off button above the outlet, and it can be controlled using Siri, the free Koogeek app, and the Home app for iOS. The Koogeek Smart Power Strip is a three-outlet, three-USB Wi-Fi connected smart power strip. You can use it to power up to three electronic devices (and control each separately) and charge up to three USB-powered devices. Koogeek has also packed in a ton of safety features, including short circuit protection, over current protection, over voltage protection, overheating protection, surge protection, and overload protection. The PureGear PureSwitch is a Wi-Fi enabled smart plug that features a USB charging port. While you're using the device to remotely control your lighting, fans, etc., you can also use it to charge your USB-powered devices! The plug, which works with Siri and the Home app for iOS, can also be controlled using the free PureGear app for iOS. A HomeKit-enabled smart plug is the simplest way to create smart home devices out of "dumb" ones, and then use Siri and the Home app to control them. 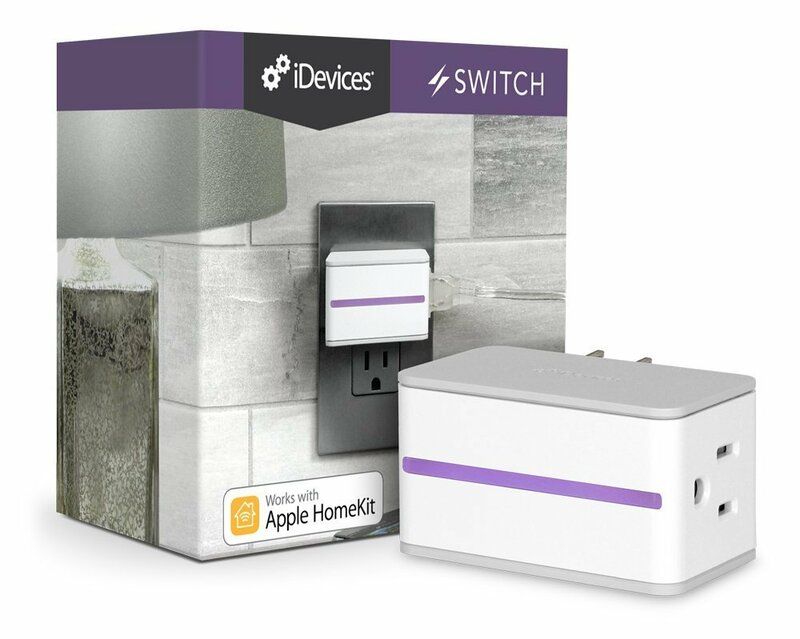 If you're looking for the most reliable option that's all-in on HomeKit, then go with the iDevices Switch. It has a unique design compared to other plugs that makes it easier to place anywhere in your home, such has behind furniture, and its built-in LED makes and excellent, colorful nightlight.